By: Sabrina Tan / Nov 06th 2014. When it comes to waterproofing, cleaning, deodorizing, and other general repairs of your outdoor equipment, Gear Aid, is trusted by professionals all over the world. It is sure to get the job done right so you can get back to doing the things you love. Take a look at this list of Gear Aid products that you can use to maintain or repair your equipment. The Seam Grip special formula makes it the ultimate addition to your gear repair kit! 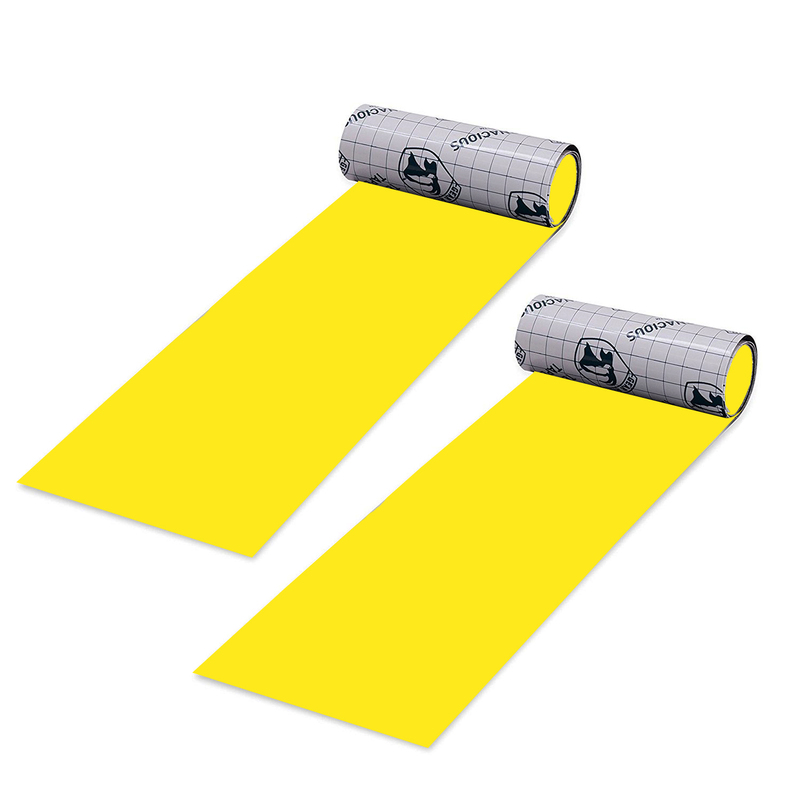 This sealer is urethane based and permanently seals seams and repairs rips, tears and holes. 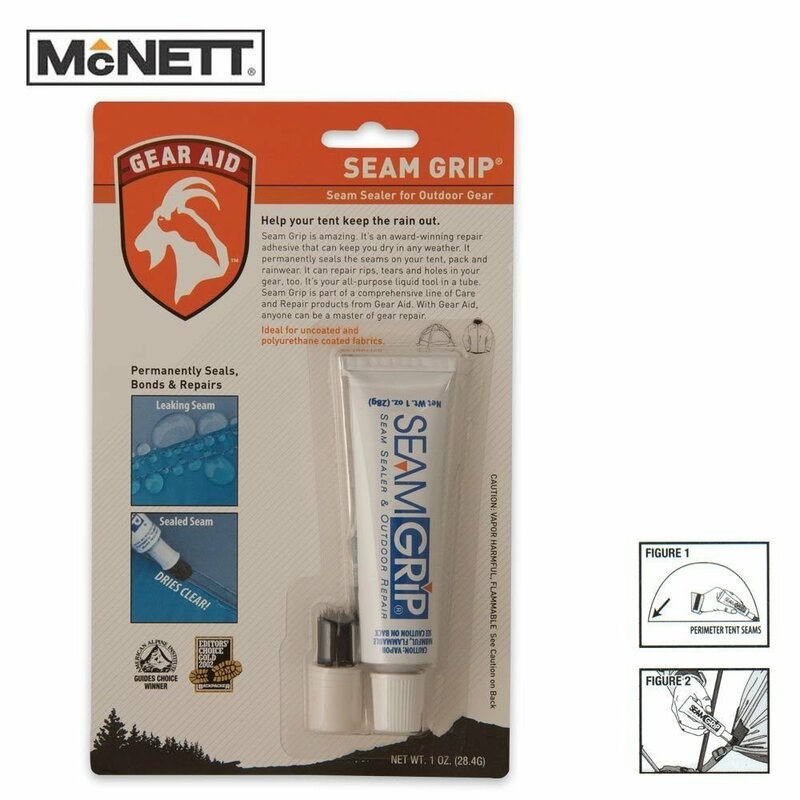 Use Seam Grip to repair damaged gear and equipment such as tents, rain jackets, and sleeping bags. It is easy to use and works on different fabrics and surfaces including neoprene, PVC, rubber, leather, vinyl, and synthetics. Seam Grip goes beyond quick repair by providing extra water and abrasion resistance. For easy application, use the Seam Grip Seam Sealer that comes with a convenient application brush tip so you can tackle any tear. Don’t forget to bring a tube of Seam Grip on your next outdoor adventure. One of the problems with ultralight silnylon tents is that they are not typically sealed at the factory. To get the most out of your tent and if you want to avoid waking up in a puddle, try applying Tent Sure to the seams of your tent and you'll be happy to find that water won't be able to get through. The silicone adhesive is a powerful formula that is not affected by extreme heat or cold so you'll be ready for all types of weather. 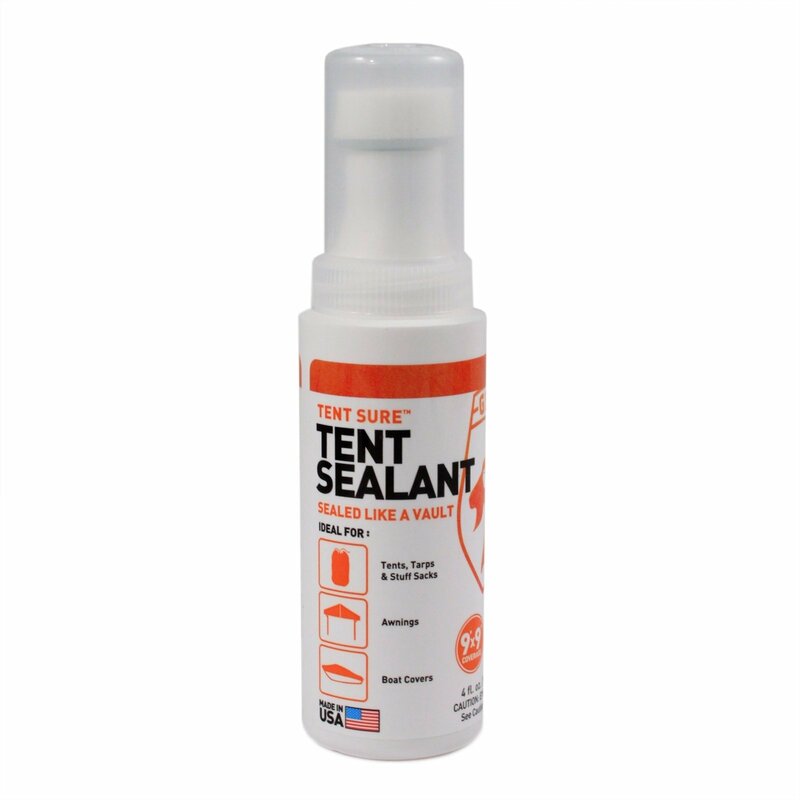 Tent Sure is a multipurpose sealant that can also be used to repair moderates rips and tears to your tent with just one application. Faulty equipment shouldn't get in the way of a good camping trip so, if you’re planning a weekend in the woods with your silnylon tent, be sure to grab SilNet! Are your shoes falling apart? Don't throw them away! Save your money by repairing them instead. Freesole Shoe Repair is better than your average shoe glue because of its patented urethane formula which is made from the same material as the soles of your shoes. The result – effective and long lasting shoe repair. Freesole is flexible, waterproof, and wear-resistant. What more could you ask from a shoe repair product? You can reattach soles, rebuild toecaps, and even restore heels to like-new condition. Use Freesole on any shoe in your closet that needs repair! The GORE-TEX Repair Kit provides a fast and easy solution to GORE-TEX rips and tears that works! Simply clean and dry the area, take off the paper from the back of the patch and apply it using finger pressure. Enhance the durability of the patch by applying heat with moderate pressure. You can cut the fabric into any desired shape to fit the repair. 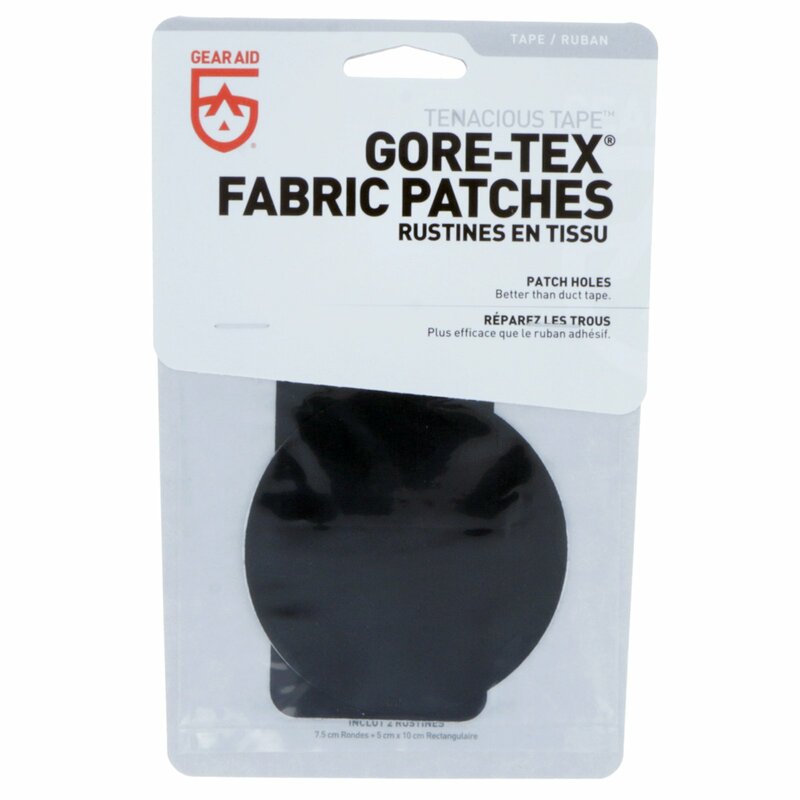 The GORE-TEX Repair Kit includes two patches – a 2” x 4” rectangle and 3” diameter circle. Use GORE-TEX on waterproof and breathable gear. Tenacious Repair Tape utilizes real tent material to provide a nearly invisible and permanent repair. The advanced Clean Adhesive Technology makes sure no sticky residue is left behind, a massive upgrade from duct tape. It comes in clear, sage green, and dark blue to best match your gear. 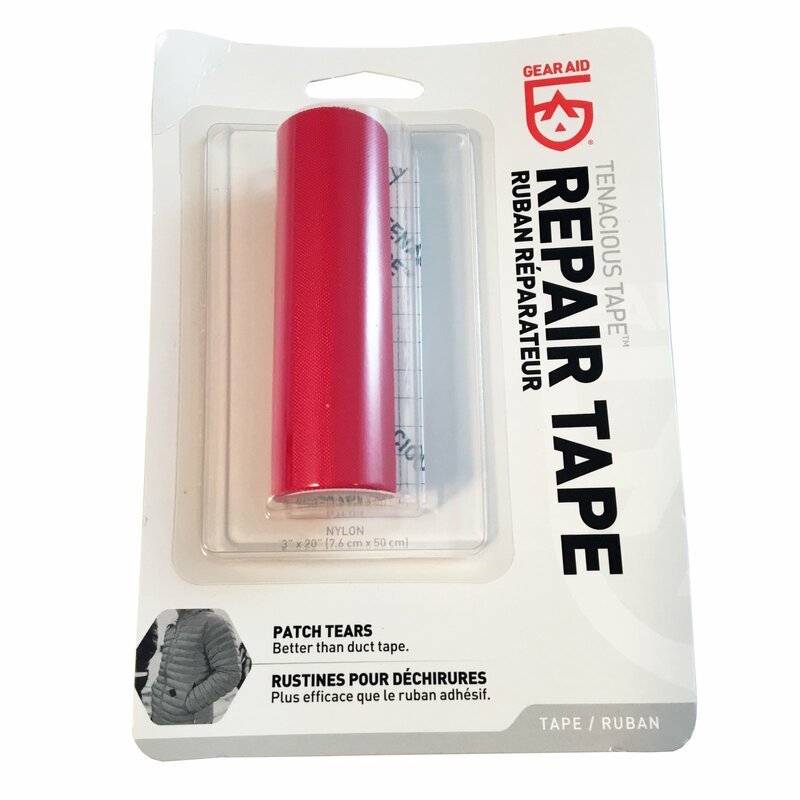 This repair tape can be used for a number of things including tents, tarps, mosquito nets, rain gear, backpacks, boat covers, sleeping bags or pads, and more! Aquaseal provides a solution for rips and tears, specifically tailored towards underwater gear and equipment. It is a clear, waterproof adhesive and sealant that is specially formulated for flexibility, adhesion, and abrasion protection. It will repair your waders or wetsuits to keep you comfortable and dry when you’re in the water. The advanced adhesive is unaffected by extreme heat or cold to help ensure that your gear lasts a lifetime. For extremely fast drying time use the UV Cure Aquaseal to make instantaneous field repairs to minor tears. The flexible formula cures in just seconds. 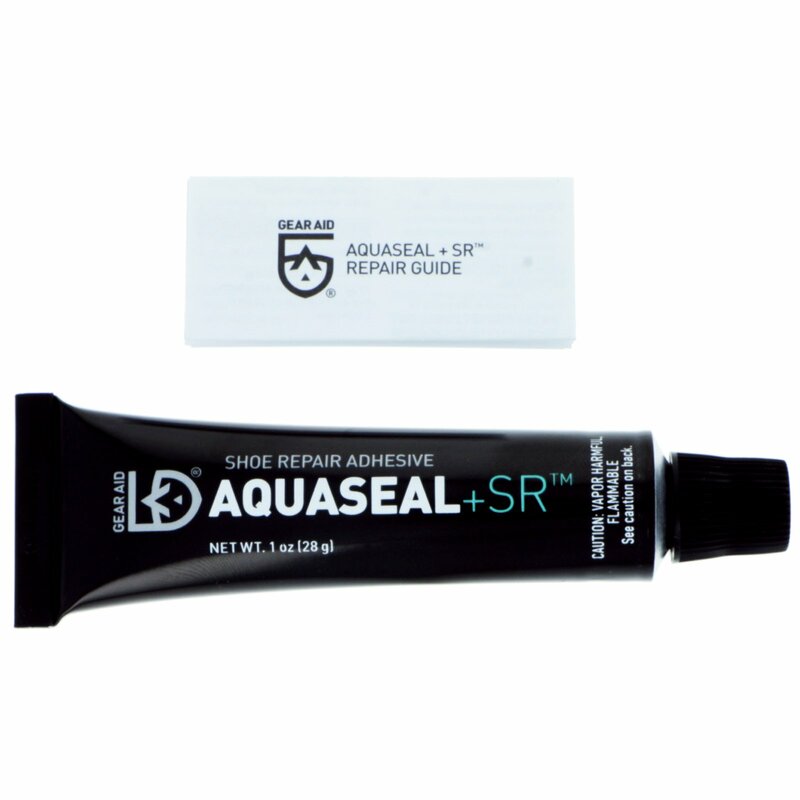 One of the most popular products is the Aquaseal All-Purpose Patch Kit that comes with all you need to make fast and easy repairs on the spot. Use Aquaseal, clear and black fabric tape, an application brush, and an instruction booklet to get your gear up and running again. Don’t let rips or tears stand in your way! When your gear starts to smell bad, it can really put a damper on any activity. You might even think about throwing it away. Rank Away is a powerful odor eliminator that uses all natural enzymes with anti-fungal agents to combat odor-causing bacteria, mold, and fungus growing in your shoes. Simply spray Rank Away on any mesh, canvas, or neoprene footwear and say goodbye to bad odor. If you need foul odor relief from your other gear such as tents, backpacks, or sleeping bags you can rely on MiraZyme! This biodegradable formula removes odors caused by mold, mildew, and bacteria. The fast-acting solution is extremely versatile, so use it on any equipment without worrying about damaging waterproof coated fabrics. 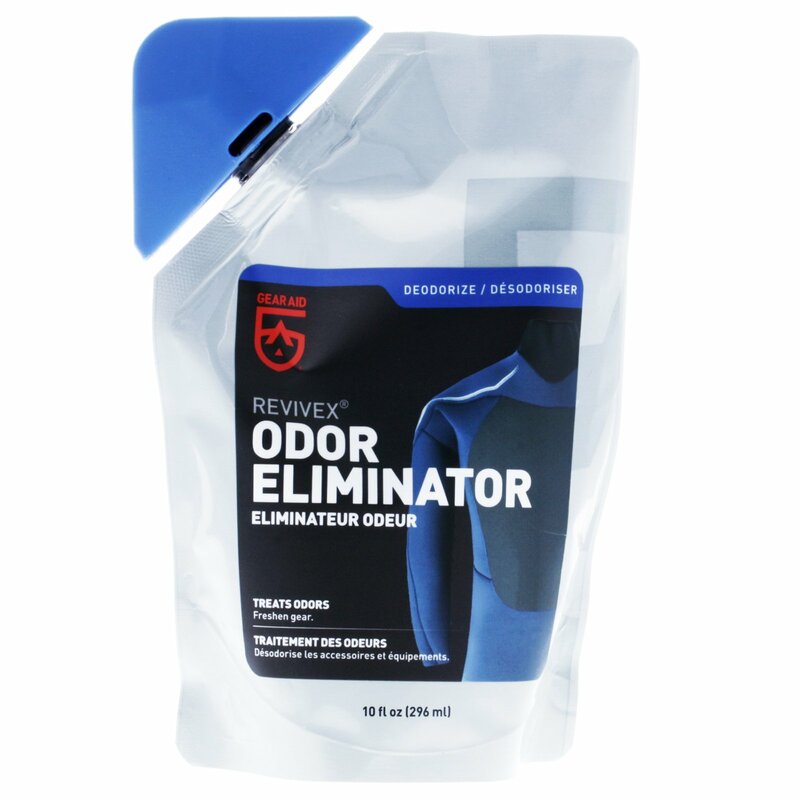 Make sure you use Rank Away Odor Eliminator to get rid of that odor. With the Zipper Repair Kit, you can fix any zipper giving you trouble. The kit includes various zipper sliders, a sewing kit, and a gear repair manual. Don’t throw away your gear or leave it lying around because of a broken zipper. Use the Zipper Repair Kit to restore your gear and save yourself some money! The Field Repair Kit was created to provide all of the essential products for any repair issue you may run into so that you can solve it on the spot. You wouldn't want damaged gear or equipment to stand in the way of any activity. 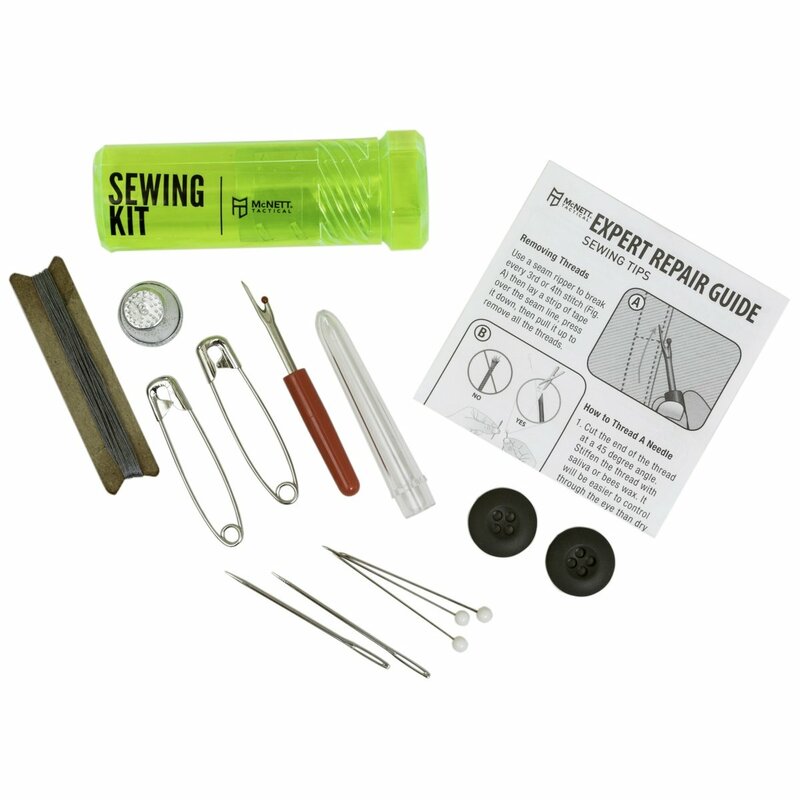 The specialized Field Repair Kit will assist you in fixing gear, sewing clothes, or modifying equipment on the fly. This kit is compact so you can just slip it into your backpack or pocket without taking up much space. 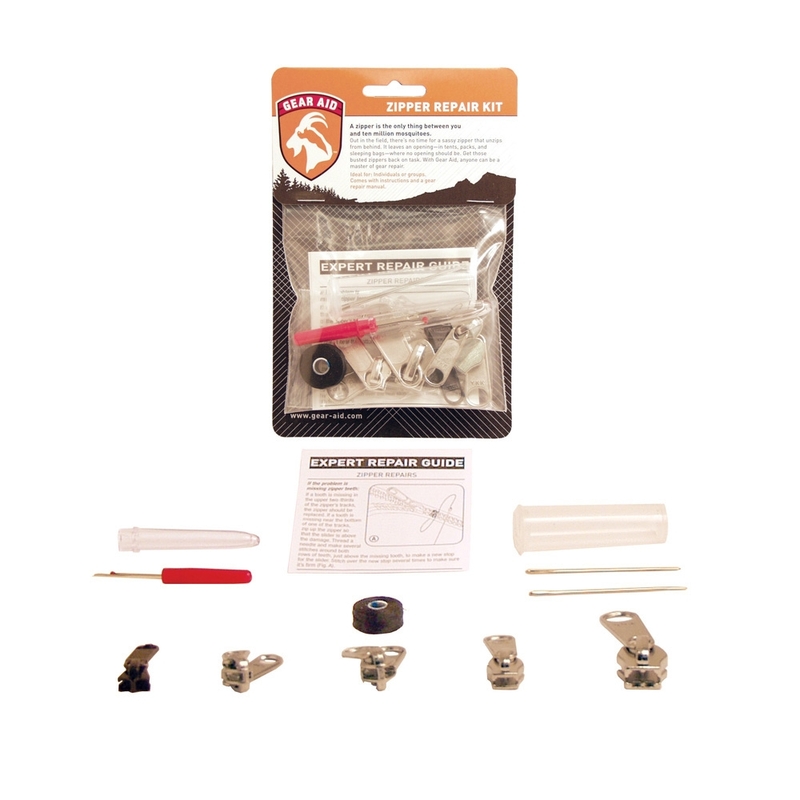 This Field Repair Kit has insurmountable value when you run into any trouble with your gear!